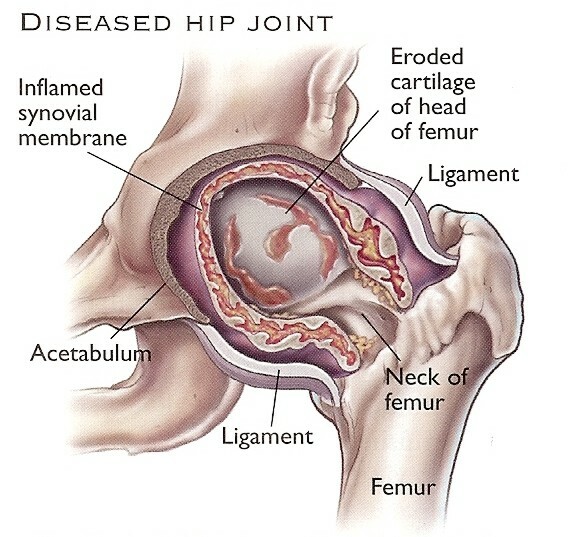 Replacement of the hip joint has become a common operation over the past 45 years. 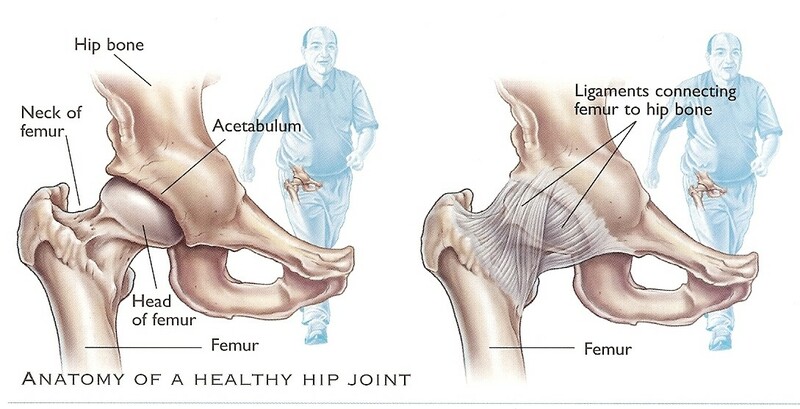 The hip joint is the ball and socket joint that connects the thigh bone (femur) to the pelvic bone (acetabulum). When the joint is diseased or damaged the protective cartilage cushion can wear away, allowing the bone of the head of the femur to rub directly against the acetabulum leading to pain, stiffness, limping and muscle weakness. Also called arthroplasty, joint replacement surgery is considered when other treatments have not relieved pain and disability. The aim is to relief pain and restores hip function. 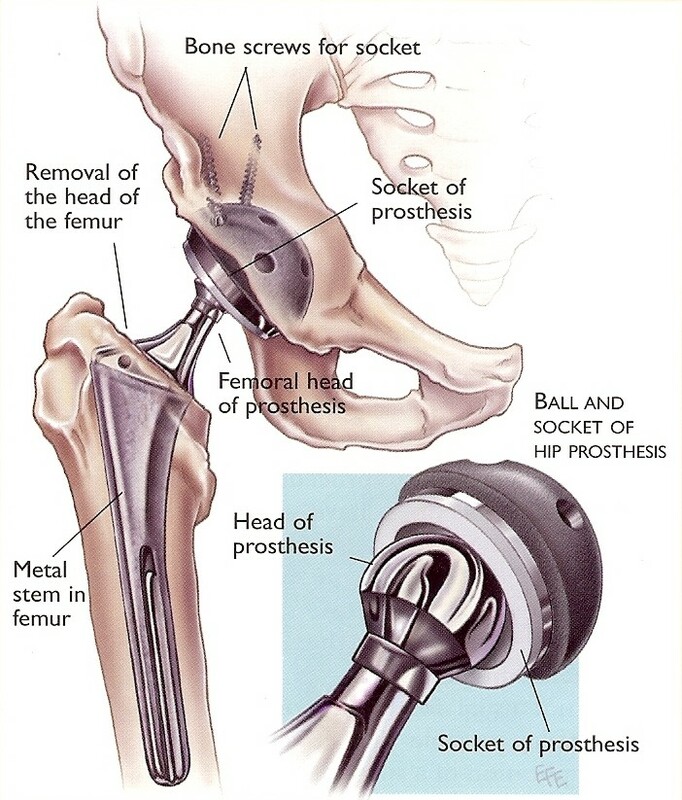 During surgery the surgeon removes the diseased hip joint and inserts an artificial joint or prosthesis. In consultation with you and based on your lifestyle and age, the surgeon will decided prior to operation which prosthesis is best for you. 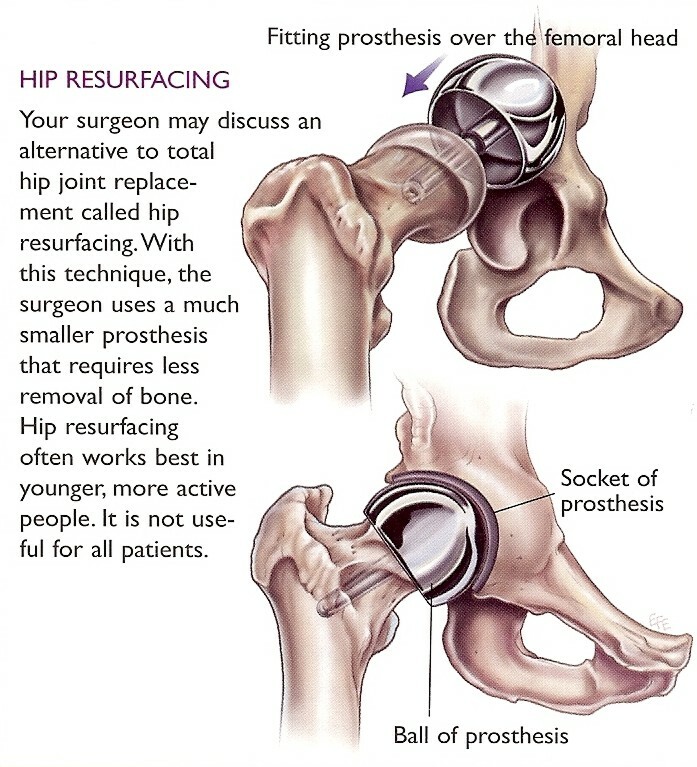 An alternative to a total hip replacement the option of having a hip resurfacing may be offered to you. With this technique, the surgeon uses a smaller prosthesis that requires less removal of bone. Hip resurfacing often works in the younger, active patient. It is not used in all patients due to certain constraints it may have on long-term outcome. Under normal conditions, older people can expect their prosthesis to last about 10 years or more. Younger people may need to have a second procedure to replace the prosthesis when it wears out (Revision Hip Replacement Surgery).